Making self-care a priority during the busy holiday season is so important for so many reasons. It not only helps to keep your sanity in check, but allows you to be able to continue to give to others too. We have to fill up our own cup to be able to pour love and support into those around us. And if our cup is empty…then we don’t have anything to give! 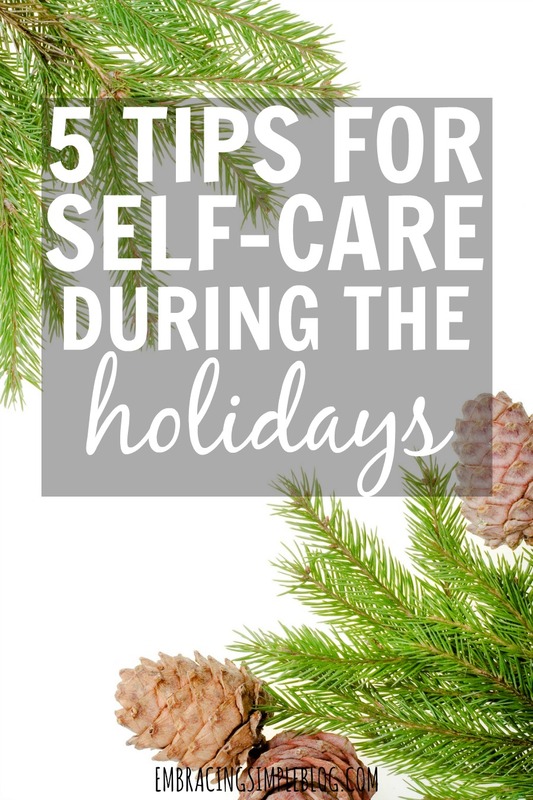 Today I’m sharing 5 tips for self-care during the holidays that I hope serve as encouragement to you that it’s okay to put yourself first this holiday season. In fact, it’s more than okay. It’s essential in order to make sure your family and those around you have a wonderful holiday season too. Say no to any parties, to-dos, or obligations that don’t give you joy. Life is too short to spend our time doing things we are less than excited about. Saying “no” to the things you don’t want to do frees you up to spend time doing what you love and will allow you to take better care of yourself too. It is not kind to force yourself to run around like a crazy person all of December – don’t let that happen. If you are feeling completely overwhelmed by everything you need to get done, don’t be afraid to ask for help! Your friends and family don’t want to see you stressed out to the max. So if you are having a particularly trying holiday season, reach out to them and let them know. 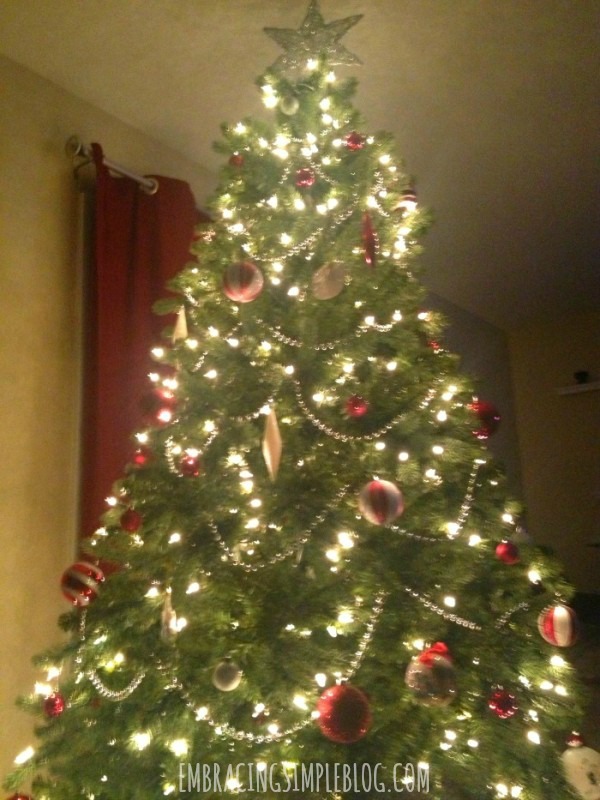 Maybe your spouse can help you with some of the gift shopping, or your kids can help you decorate the Christmas tree. Sometimes even just taking super small tasks off of our shoulders can feel like a mountain of weight lifted off of us. Don’t hesitate to delegate or ask for help if you’re feeling stressed right now! So often we put pressure on ourselves to have things be perfect, and the holidays are no exception. Let go of perfection and embrace the “good enough” mentality. So what if your Christmas tree is a little lopsided, or you burnt the heck out of those sugar cookies. In the big scheme of things, neither of those things really matter. Focus on what does matter – your happiness, your sanity, and enjoying this holiday season…imperfections and all. Making sure you set aside time to unwind is so important any time of the year, but especially during the holidays. Our calendars tend to quickly fill up with all of the holiday gatherings and special events that this time of year brings. And while it can be a lot of fun, it can also be very draining. Try setting aside a morning or an afternoon just for you. If you can fit it in your budget, perhaps schedule a massage or treat yourself to a latte at your local coffee shop. Having a few hours to yourself where you don’t have anything in particular planned can be so rejuvenating. Put that “me time” in your calendar right now! When you make adding relaxation to your life a priority, it’s a lot easier to allocate the time to properly take care of yourself. Sometimes it’s hard to let yourself unwind and get to a peaceful state of mind. When I find myself feeling overly stressed out, it’s no secret around here that I typically like to use lavender essential oil to help me relax and calm down a bit. I usually like to add a few drops to a bubble bath or mix it with oil/unscented lotion to enjoy the lavender scent. 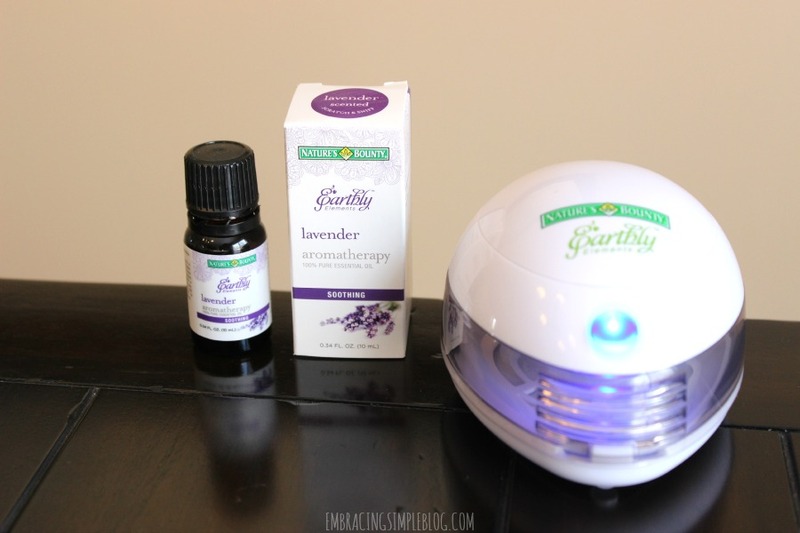 Nature’s Bounty® Earthly Elements™ graciously sent me this aromatherapy diffuser to try out and I’ve been loving it! I’ve used oil warmers before, but never a diffuser, and I’m quickly discovering that it’s my new favorite way to enjoy essential oils! It’s a nice way to let the lavender aroma permeate the air and I have a feeling I’m going to be running this bad boy constantly in our home from now on. 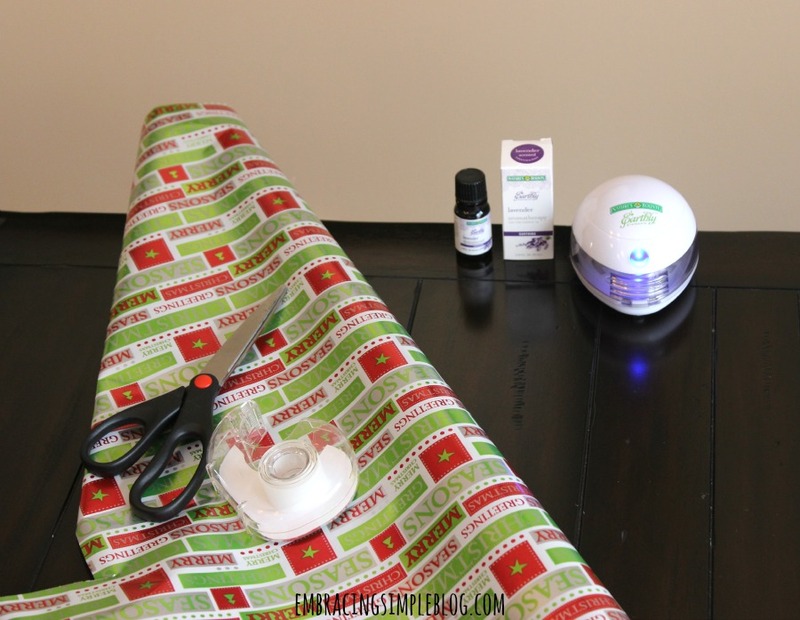 I was even using it while wrapping some Christmas gifts to get into a relaxed state of mind and enjoy the process of wrapping a bit more. If you’re an essential oil lover too, Earthly Elements™ has a fantastic selection of essential oils that can help you to unwind and relax this holiday season. You can find them at www.earthlyelements.com. 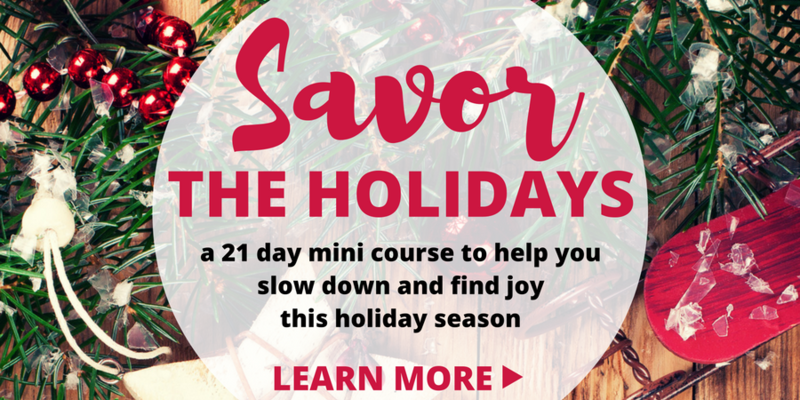 If you’re looking for more ways to take care of yourself and savor the holiday season, be sure to check out my Savor the Holidays course! It’s a 21 day mini course that will help you slow down and soak up all the joy this holiday season has to offer, and makes a great clutter-free gift for friends or family too 🙂 I would love to have you join us! Click here to learn more. What are your favorite ways to make sure you aren’t getting rundown during the holiday season? Share with me below! Great tips — thank you!! Thank you Sarah! That’s awesome, it’s amazing how much difference sleep alone can make. I’m trying to make that a goal of my for 2016 too, as sleep often gets pushed to the back burner for me these days. It’s our favorite thing to do Kara! Haha year-round we like to schedule Sundays as “no plan” days if we can, and it’s become a tradition that we don’t plan on dropping anytime soon. Saying ‘no’ has been a game-changer in my family. We limit Christmas activities outside the home so we can enjoy more quality time at home with our 5-year-old son. Those are the times that I remember most from growing up. Great post! I always discover something I never thought of when reading your blog. Thanks for sharing. Hope you’re having a great week so far! Learning how and when to say “no” is so important all throughout the year. Saying yes to everything can really wear a person down! Absolutely Michelle! It isn’t always easy to say no, but it’s so important to do anyway! 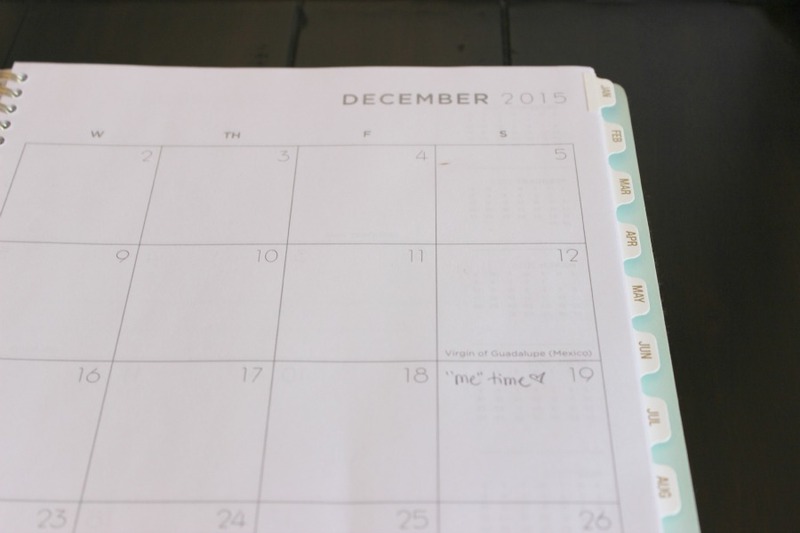 I think scheduling down time is really important (all year, but especially during the holidays). My husband feels like I over-schedule us and I probably do, so he likes to pick weekends where I am not allowed to schedule anything and we just do as we wish when the time arrives. I have to admit, it works really well. We usually get stuff done but also have loads of time to relax. These are all so difficult for me to do, but I really have seen a change in me lately that has been helping a lot. I’m more likely to say no to something that doesn’t feel right, and I just love your example of the lopsided Christmas tree. We just gotta learn to let it go! That’s awesome that you’ve made that change Meagan, saying no isn’t always easy to do! It is truly so important to ask for help. Sometimes I get caught up in the thought that I want something in a certain way (which is perfect in my head) that I do not ask anyone for help. Not only does it happen with holidays, it happens to me at work also. I recently started my own blog and overworked myself. I have now learned to say no, lower my expectations and ask for help.